The CERES Group’s mission is to continually elevate the staffing industry’s standards of practice by simply doing what we do best – building trusted, long-term, authentic relationships. Unwavering in our adherence to our core Code of Values because we choose to stake our reputation on being the transparent, ethical, and hardworking partner that both our clients and our candidates can trust. 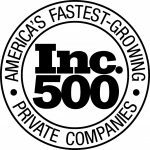 Work for one of the fastest growing privately held companies specializing in IT placements and ranking 7th in the Human Resources sector on the Inc. 500 list. At The CERES Group we take care of each other, our clients, candidates and consultants. If you have built a career and reputation that goes above “making placements”, we would like to talk to you. Job Description: The purpose of the role is to ensure that client positions are filled with high-quality candidates and that the candidate pipeline is continuously growing with talent that reflects clients requests. Your Opportunity: As a highly motivated and ethical individual you will work with a team of other goal orientated well-networked peers who focus on technology and IT in a fast-paced office. Our Boston office is centrally located in the middle of the financial district across from Post Office Square and four blocks from South Station. Compensation includes a base pay plus commission. If you can adhere to our guiding principles, the sky’s the limit. Lead and develop the recruiting team through daily goal setting and individual accountability? Source, interview, offer negotiations, and manage candidates? Follow procedures regarding data collection, client onboarding, and communication? Maintain continuous communication with candidates who are placed on assignment? Drive the coordination of account managers, clients, and candidates to resolve any issues? Partner with the business development function to ensure on-going candidate pipeline that reflects the client’s needs in both the short and long term? Improve industry knowledge for the staffing industry, represented verticals and attend networking events? If you answered yes, Apply Today! Send your cover letter and resume to dbelanger@theceresgroup.com . Job Description: Grow the assigned line of business by providing recruiting leadership to support requests for permanent hires with our clients. Planning effective growth, implementing company policies and compliance with the Fair Employment Practices are primary responsibilities. Your Opportunity: Successful staffing industry and IT recruiting experience are required as you provide excellent customer service with your ability to communicate verbally and in writing. Your analytical skills and ability to focus on the details will assist you as you manage multiple projects and priorities while meeting deadlines. The new systems you learn along with Excel, Word, and ATS keep all the specifics organized. Our Boston office is centrally located in the middle of the financial district across from Post Office Square and four blocks from South Station. Compensation includes base pay, aggressive commission plan, and full benefits package. If you can adhere to our guiding principles, the sky’s the limit. Develop and grow assigned line of business and overall client base by marketing CERES services? Provide the highest quality customer service to both clients and candidates? Build presence in the local marketplace with consistent participation in networking organizations and events? Submit to Management the plans for business development? Responsible for growth of permanent placement revenues? Resolve issues concerning applicants and customers, discussing all matters with Senior Management while aiding in the resolution? Responsible for creating a sense of urgency when dealing with clients and applicants? Work with Senior Management to handle negotiations of contracts within the region? Create, participate, and oversee marketing ideas to clients, recruiting and retention ideas for applicants/employees? Perform other duties and responsibilities as assigned? Job Description: The purpose of the role is to partner with our internal recruiting team to source qualified candidates. Your Opportunity: You can utilize your college degree or capitalize on your experience within a technical organization to fill job positions with qualified IT candidates. Your interpersonal, customer service skills, and knowledge of applicable laws, regulations, and procedures will expand your business acumen while providing recruiting assistance across a variety of disciplines. You will have a predictable regular work schedule in our Boston office across from Post Office Square and four blocks from South Station. Compensation will consist of base pay, incentive bonuses, and a full benefit package. Utilize a variety of sourcing strategies to pipeline a diverse pool of candidates for each job opportunity, including a variety of electronic media and social networking? Represent CERES at local and national career fairs including college, military, diversity, and clearance events? Effectively utilize the hiring processes, understand behavioral-based interviewing, while ensuring appropriate audit trail? Maintain a regular and predictable work schedule? Provide recruiting assistance will be across a variety of disciplines? document processes and develop checklists? Job Description: The role is responsible for the development and growth of a client base through strategic outside sales activity. Developing relationships with key client managers, negotiating business terms, and securing partnerships that are mutually beneficial to both The CERES Group and our customers. Your Opportunity: You will utilize your background and proven success with account penetration, business presentations, sales and marketing to develop and grow national and mid-market accounts in the IT sector. You will work in a competitive and energetic office with other self-motivated professionals who are passionate about negotiating and developing business with IT consulting firms. Our Boston office is centrally located in the middle of the financial district across from Post Office Square and four blocks from South Station. Compensation includes base pay, aggressive commission plan, and a full benefits package. If you can adhere to our guiding principles, the sky’s the limit. Research, market, and effectively present our services to new clients? Penetrate new business through in-person meetings and presentations with key client managers and senior executives? Generate new business through telephone calls and participation in networking organizations/events? Maintain consistent pipeline of existing and prospective business? Secure qualified opportunities from existing and new clients? Ensure client satisfaction by supplying customers excellent service and expected results. Evaluate candidates prior to submitting to the client? Execute business plan to become the preferred supplier for all clients in your portfolio?